A simple, traditional design shelf on ornate cast iron wall brackets. Dress up with your favourite display items, faux plants and lamps to create a personal disply! Please scroll down for smaller size. 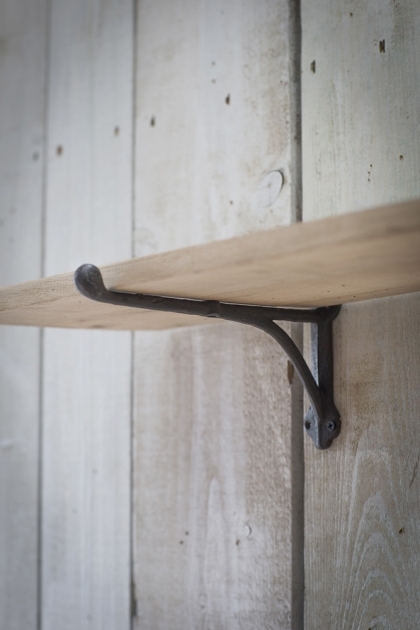 Please note: The shelf is not fixed to the brackets but rests on top.